Aside from pollution, their overall health and immunity to infection can be great factors in preserving them from the worse consequences of breathing difficulties. For this reason, we provide these top tips to help you maintain good airflow indoors. Make sure that your air-conditioning equipment is well-maintained and able to filter the good, cool, and clean air inside. Any form of dust can be irritable to someone with breathing challenges. But when they’re always breathing in good air, their breathing is also good and well. You can also implement this as a practice even when your aging family member is being assisted by providers of Senior Home Care in Vancouver. Unfortunately, our hands are easy carriers of germs such as those that trigger a cough and colds. When we wash our hands before helping out our loved one, we’re protecting them from getting infected with these illnesses. Minor illnesses such as the flu, cough, or cold can be a major challenge for your loved ones with breathing problems. Your loved one’s strong immune system is also a great factor in protecting their health. 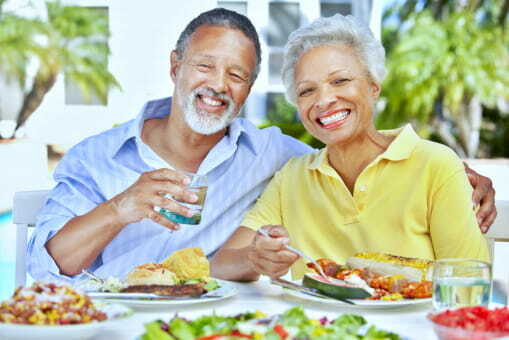 With assistance from providers of Home Care Services in Vancouver, prepare healthy meals for your aging family members especially those with fresh fruits and vegetables. When your senior loved one has low appetite, they may not be able to fully take advantage of the nutrients from the food they eat. However, with supplements, these nutrients and vitamins can be replaced, adding to the enhancement of their immune system. When our loved one has breathing problems, they will be taking prescriptions to help them breathe easier. You can also help them by making sure that they take these medicines on time and with the right dosage. At Peachtacular Home Health Care, we help you administer quality and compassionate care to your senior loved ones while they age at home. We have a highly qualified and well-trained team ready to respond to your request for assistance. If you’re interested to know how else we can be of help to you, just contact us to set an appointment. Share this post for more awareness. This entry was posted in Breathing Problems and tagged Elderly Care, Health Care, Home Care, Personal Care. Bookmark the permalink.